The tourbillon is still the undeniable king of the complications. It is often the one that envokes the most feverish reactions from watch collectors and connoisseurs alike. Part of its magic is its undeniable ability to captivate through its mesmerizing motion and the technical complexity to achieve this. These are some of the most recent watches with a tourbillon that were able to capture, and hold our attention! It is hard to decipher what is the coolest thing about the new Bvlgari Octo Finissimo Tourbillon Automatic, so it must be the sum of all its parts. With a height of only 3.95 mm, encased that is, this watch is now not only the thinnest tourbillon watch in today’s market but also the thinnest automatic watch available! Although not a skeleton per say, it does give you a full view of its inner workings, and because of its titanium case and bracelet, it also weighs next to nothing. One of the coolest watches with which IWC celebrated its 150th anniversary was the Portugieser Constant-Force Tourbillon Edition “150 Years”. It combines for the very first time their impressive constant force tourbillon with a moon phase display that only needs adjusting once every 577.5 years. Captured in a 46mm platinum case this results in a bold watch with a classic look. It is also a very rare watch, as IWC will only make 15 of them! Incredible but true, Cartier has found a way to improve on their Rotonde de Cartier Mysterious Double Tourbillon, and that is by making it as a skeleton. While you expect this to take some away from the magic of how this watch operates, it only adds to it. The gear train is clearly visible behind the skeletonized Roman numerals, but how (and you almost ask yourself if) they are connected to the flying tourbillon that seems to be suspended in mid-air remains a mystery indeed. Hublot’s proprietary King Gold combined with the warm coloured leather of Berluti makes for a watch that is nothing short of being epic! The leather dials are not only embossed with Berluti’s signature Scritto motif, but also with the hour markers and even the power reserve scale. While the watch looks spectacular from the front, the back is also something to behold. 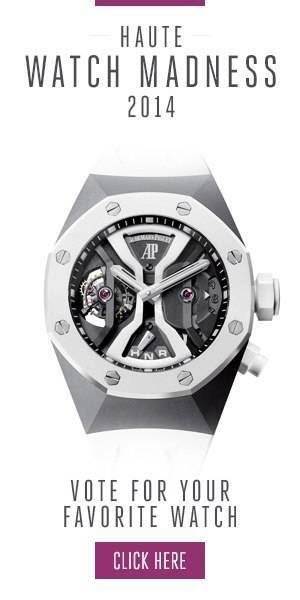 Hublot skeletonized the main plate providing you with an insight into the inner workings of this tourbillon. Sometimes a simple name says it all: this Chopard is indeed an all in one because its tourbillon is only one of the fourteen complications that the brand saw capable of fitting into this watch. It is however also one of the most prominent ones, dominating the lower part of the dial that is shared with some of the perpetual calendar functions. The back of the watch shows among others a celestial map as well as sunrise and sunset times. Incredible is that despite all these complications, Chopard even found room to fit in two sets of two stacked mainspring barrels giving this watch a power reserve of 170 hours!